Another daddy blog? Yup. 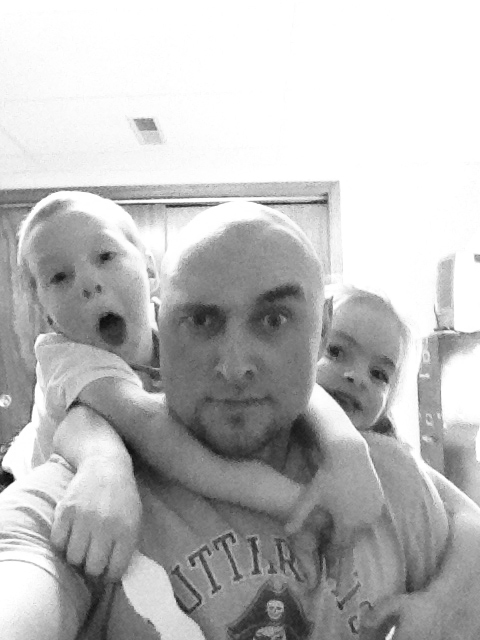 Single dad fighting the fight…that is, doing my best to raise two kids on my own, while trying to remain…well…not insane. Complete with rants, raves, advice…or lack there of, humor and those moments that can bring a tear to the eyes all in one chaos filled place: my life. *Disclaimer: I am in no means any kind of writing professional. In fact, my understanding of “grammatical correctness” or what “the rules” state about what I can and cannot do are extremely finite – that being said, my posts, in all likelihood will have some, if not many grammatical errors…it is what it is. Hilarious…your blog’s title had me in stitches. Keep it up. Lol! Well thank you so much! I have been extremely…anxious about this whole “blog thing” to be honest so hearing comments like this is definitely encouraging. Thank you once again!